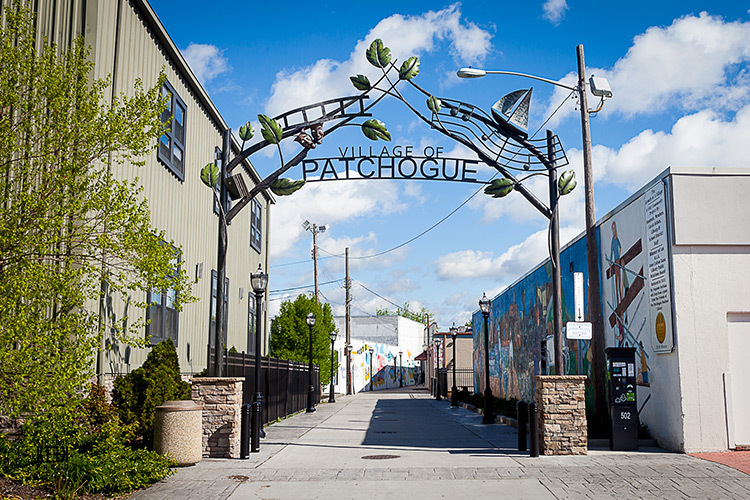 The Greater Patchogue Chamber of Commerce approached us with the request to design and build an sculptural archway that would celebrate the resurgence of Patchogue Village. We decided to include a variety elements that represent the history and culture of Patchogue. These elements included a sailboat to recognize the community's strong link to the Great South Bay and Patchogue River, with its master boat builders and bay men. We also added a filmstrip, music staff, and Janus masks to represent the arts community that the village is known for. 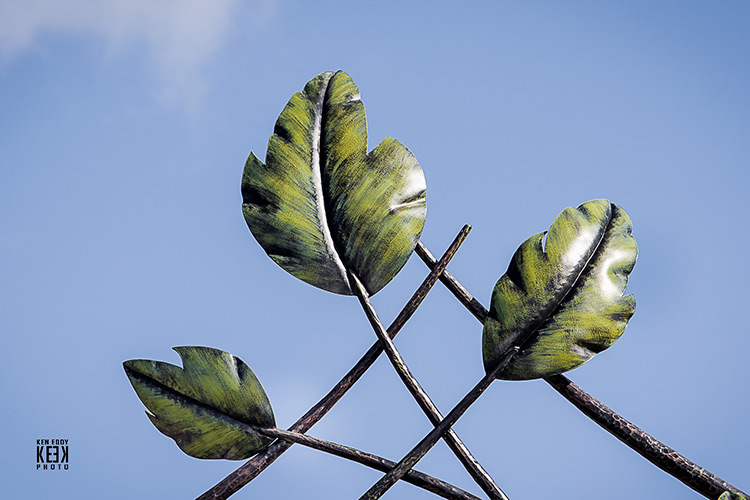 It was constructed using almost 3 tons of steel and contains over 50 individual forgings. This project gave our smiths an opportunity to test their skills, both modern and traditional and took hundreds of hours to complete.